Social Media Services. If you register or log into your account through a third-party social media service, we will have access to some of your third-party account information from that service, such as your name and other information in that account and used for purposes such as improving your Kudos Knowledge recommendations. We may also have access to third-party account information if you use the Platform feature to share a link. Invitations. If another member sends you an invitation through our Platform, we may receive certain personal information, such as your name, email address, or phone number. If you are an invited guest, we will automatically send you an invitation to our Platform, and, if unanswered, a one-time follow-up invitation. Kudos Knowledge stores this contact information only to send these invitations and evaluate their success. You may unsubscribe from future invitations using the instructions in those messages. You may also contact us at privacyenq@KudosKnowledge.com to request that we remove this information from our database. Information from Other Third-Party Sources. In order to provide you with more tailored recommendations, we may obtain information about you from publicly and commercially available sources and other third parties as permitted by law. For more information about the data that we obtain from these providers, please contact us at privacyenq@KudosKnowledge.com. Detect, investigate, and prevent fraudulent transactions, abuse, and other illegal activities; to protect the rights, property, or safety of Kudos Knowledge and others; to enforce compliance with our policies; and to comply with applicable law and government requests. We process information about you in order to provide our services in accordance with our Terms of Service, for example to allow you to join groups and to allow us to send you important service updates. to authorities to comply with legal obligations and to protect and defend our rights and property. We share some of the information that we collect by displaying it on our Platform according to your member profile and account settings. Some information, such as user name, is always public. Some information, such as interests, is public by default, but can be hidden on our Platform. Some information, such as group memberships, will always be visible to other members of that Kudos Knowledge group, and may be public, depending on the settings of that group. We recommend that you check the group settings and what information will be available before joining the group to ensure that you are happy with the information that is visible to others..
We may access, preserve, and disclose information about you to third parties, including the content of messages, if we believe disclosure is in accordance with, or required by, applicable law, regulation, legal process, or audits. We may also disclose information about you if we believe that your actions are inconsistent with our Terms of Service or related guidelines and policies, or if necessary to protect the rights, property, or safety of, or prevent fraud or abuse of, Kudos Knowledge or others. With your permission, we may allow others to use technologies that collect information about you to provide analytic services, and to serve ads for Kudos Knowledge. You may be able to disable the collection or use of this information. We may transfer data to other countries and in this case we ensure appropriate safeguards are employed. 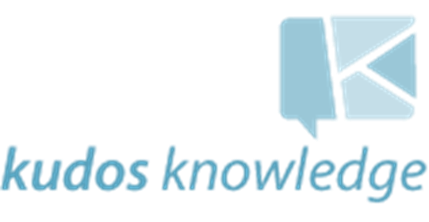 Kudos Knowledge ads: We partner with third party publishers, advertising networks and service providers to manage our ads on other sites. Our third party partners may set cookies on your device or use the technologies described below to gather information about your activities on the Platform and other sites and online services you use, in order to provide you with Kudos Knowledge ads that match member profiles or interests. For example, if you visit our Platform and also use a social media platform, you may see a Kudos Knowledge ad on those social media platforms. Third party advertisers: We may work with advertisers, and advertising service providers to serve ads that may be relevant to you based on your inferred interests, location or other information collected about you, which may use a cookie or the technologies described below, placed by Kudos Knowledge or the third party (although we would not share any other information that identifies you with an advertiser) on our Platform, or on a third party website or online service. The placing of these technologies on your device may enable you to be identified across multiple websites and online services. Duration of Cookies. Some cookies, known as “session cookies”, will stay on your device only for as long as you are accessing our Platform. Others, known as “persistent cookies”, are stored on your device for longer periods. You have the right to opt out of receiving Kudos Knowledge’s promotional messages, but you may still receive other non-promotional communications. You may update or correct your account information by editing your account settings or by sending a request to privacyenq@Kudos Knowledge.com as described in Section 6. You may deactivate your account by editing your account settings or by sending an email to privacyenq@Kudos Knowledge.com. You will also be able to choose what information others see about you and who may contact you by using the Privacy Settings section in your Account. You can control messages that you receive from Kudos Knowledge, other members, and third parties by selecting the unsubscribe link in the message that you receive, or by adjusting the communication preferences in your account settings. We will also send you a link to these settings when you first sign up and in subsequent messages. If you opt out, we may still send you non-promotional messages, such as those about your account or our ongoing business relations. You may have the right to exercise your data protection rights, including to request that Kudos Knowledge deletes, amends, or provides you access to your information. You have the right to opt out of receiving Kudos Knowledge’s promotional messages, but you may still receive other communications. We respond to all requests that we receive from individuals who wish to exercise their data protection rights in accordance with applicable data protection laws. You can contact us by sending an email to privacyenq@KudosKnowledge.com. Complaining to a data protection authority about our collection and use of your information. For more information, please contact your local data protection authority. Contact details for data protection authorities in the European Union are available at http://ec.europa.eu/justice/article-29/structure/data-protection-authorities/index_en.htm. If you have any questions, you can contact us at privacyenq@KudosKnowledge.com. Under European data protection law, the controller of your information is Kudos Knowledge Pty Ltd.